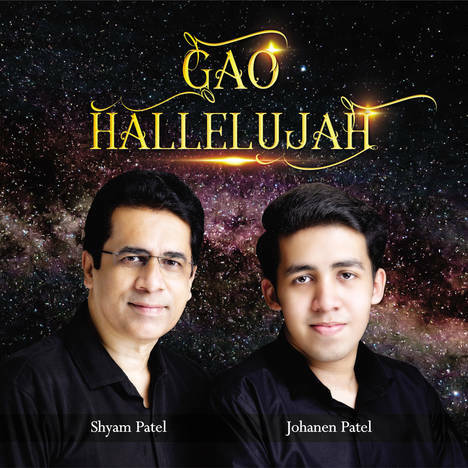 Gao Hallelujah | Shyam Patel | OK Listen! Gao Hallelujah is a praise and worship album and is all about praising God, adoring, worshiping & exalting him in our lives and situations. The Bible says, God abides in the praises of his people, hence when we worship God in Spirit and Truth, his presence comes in the midst of our lives. The Bible says, For God so loved the world, that he gave his only begotten Son Jesus Christ, that whosoever believes in him should not perish, but have everlasting life. Our praise and worship to God is our act of thanking to him for all that he has done for us and longing for more of God’s presence in our lives on a 24x7 basis. The songs bring the glory of God and the Glory of God changes our story. The title song of the new album "Gao Hallelujah" is a powerful exhilaration dance song to God the Father, God the Son Jesus and God the Holy Spirit. The song "Hosanna Teri" is a vibrant praise song about glorifying God. The song "Kyunki Parmeshwar Ne" is based on the Bible verse: John 3:16 and talks about God's amazing love for mankind. The song "Tere Jaisa" is a beautiful worship song talking about the greatness of our Lord Jesus Christ as there is no one like him. The song "Pavitra Aatma" is about welcoming God the Holy Spirit into our lives. The worship song "Sirf Tu Hain" talks about the uniqueness of God's goodness. The song "Aur Kareeb" is about the human cry of turning back & drawing near to Abba God the Father. The adoration song "Kadosh" is a powerful anointed song talking about the holiness of God. The word Kadosh is a Hebrew word for ‘Holy’. The Reprise version of song "Tere Jaisa" is a beautiful acoustic worship rendition.